The decline of the British domestic seaside resort and other coastal towns is well documented. Yet through The Urbanism Awards the Academy has visited and assessed places once considered on their knees only to find life thriving. So what has brought about this turnaround and what can other places learn from them? Tim Challans and Michele Grant, both lead assessors for The Urbanism Awards, review the Academy’s findings. It would be wrong to generalise about the current state and future of British seaside and coastal towns and cities, although it is clear that locational disadvantages and economic and social change have all had an impact on their fortunes. In many respects they are the unseen victims of the economic and social change that has taken place in the towns and cities that they served. For example, the economic regeneration of former industrial towns in the North West does not necessarily impact on the seaside resorts of the Lancashire coast and the investment in the East Midlands cities has not extended to their summer retreats on the Lincolnshire coast. By contrast, some of the resorts on the South Coast have benefitted from an expanding commuter hinterland as property prices in London have increased. Fashionable seaside watering holes developed as resorts in the 19th century when they were connected to expanding industrial towns by the railways, opening them up to working people. Many then declined in the mid 20th century when visitor numbers reduced drastically as more flexible holiday entitlements, cheap air travel and package holidays allowed people to find sun, sea and sand on the Mediterranean. Many coastal towns that were dependent on single industries such as tourism, fishing, the military or merchant ports have declined as those sectors became less profitable, closed or moved and nothing has emerged to replace them. The single industry focus of the majority of seaside towns is key as it makes them less able to respond to change because of a specific skills base and supply chains. If we add relatively remote locations for many of them and a limited catchment then the challenge is really tough. This is not a challenge unique to seaside towns of course but perhaps more prevalent. As these places are by the sea. They either have tourism as their solo industry or want to introduce it to replace another dying industry, for example to replace fishing or to repurpose a port. For towns that were seaside resorts and built originally as places for visitors, there seems to be an inability to let go or to recognise that the future may be to diversify away from their traditional industry. Unlike mining or manufacturing industries where once they are gone, they are gone, it is possible for tourism to limp on. 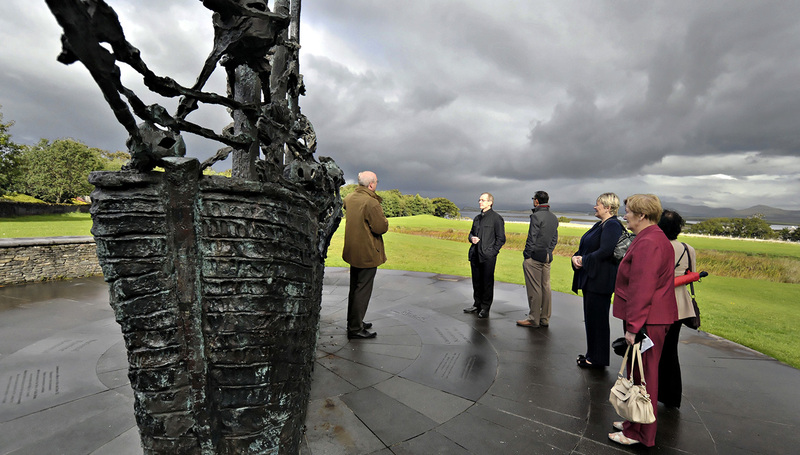 As cultural tourism is driving a lot of the growth in the visitor economy nationally and internationally, resorts believe that if they parachute in a cultural icon, it should revive their tourism fortunes. This is not necessarily the case. Some seaside towns diversified by becoming conference destinations, using their existing infrastructure of hotels, theatres and entertainment facilities, but the economic crises of the early 21th century had a severe impact on the conference trade. For example, trade unions and political parties, which were famous for their seaside conferences, are now using the more up to date and better-located city facilities. In 2014 the Liberal Democrats were the only leading party to hold their conference in a seaside town. Change is a constant factor of urbanism but generally social and economic change moves more rapidly than the built environment, therefore, the shift in holiday patterns has left a legacy of accommodation, seaside entertainments, facilities and/or harbour infrastructure which is becoming more out-dated and rundown or is being abandoned altogether. Some resorts on England’s South Coast benefit from their proximity to London and places such as Brighton and Hove have become fashionable suburbs thanks to excellent rail connections to the capital. Others, such as Eastbourne and Bournemouth, which had become retirement locations for an increasingly elderly and dependent population, have managed to start attracting younger people and are revitalising themselves as places to live. The attraction of living by the sea must also influence decisions to locate there. 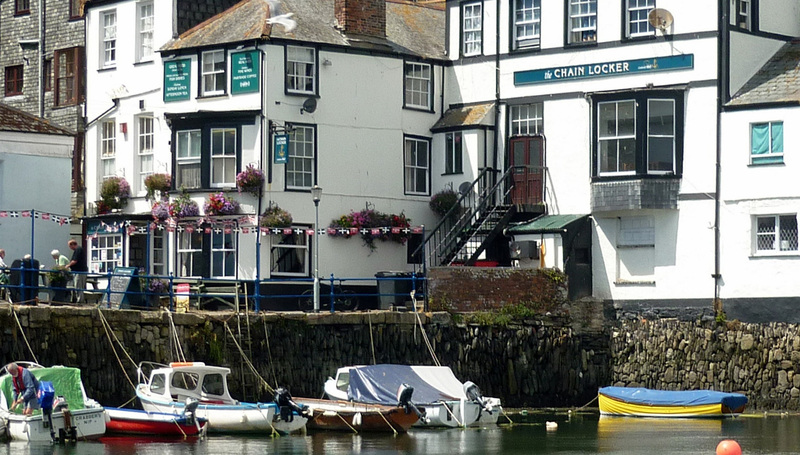 Places in attractive, traditional holiday locations such as Cornwall, North Norfolk and Suffolk have managed to survive due to an influx of wealthy middle class second home-owners, holiday makers, the trend for staycations and local investment. One of the best-known examples is the former fishing port of Padstow that has been rebranded in a large part by the intervention of restaurateur Rick Stein. Similar, rebrandings can be found in St Ives (particularly following the development of the Tate St Ives gallery) or small towns such as Burnham Market in North Norfolk, which has become ‘Sloane Square by the Sea’. However, the benefits of this wealth can be very concentrated, for example, in sharp contrast to the prosperity of towns like Padstow, Newquay, Rock, St Ives and other fashionable Cornish tourist destinations, the remainder of the county is one of the poorest sub-regions in Britain, heavily reliant on agriculture and seasonal employment. At the other end of the spectrum is the tendency for former resorts to become host to cheap temporary bed and breakfast accommodation housing urban homeless, people living on benefits and immigrants who are unable to contribute much to the local economy, unable to find work and often the cause of resentment amongst parts of the permanent population. Nobody appears to gain from these arrangements. Location can also affect the resilience of these towns and the former holiday locations of the East Midlands such as Mablethorpe and Skegness in Lincolnshire or Hunstanton on the otherwise fashionable North Norfolk coast, have become run-down and surrounded by semi permanent caravan and mobile home sites. The East End of London resorts like Southend and Margate struggle much harder than Brighton and Hove. The former ferry port and resort of Folkestone, which was badly affected by the building of the nearby Channel Tunnel, has ambitions but like other resorts still has many out dated facilities and short term B and B residents to manage. 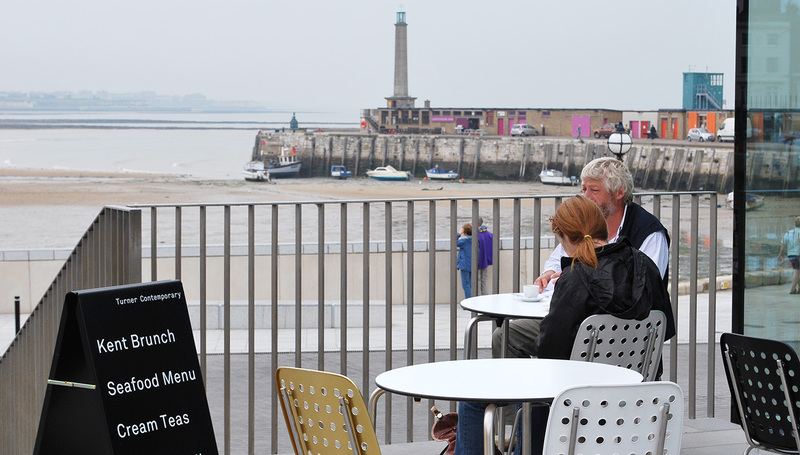 Enterprising public and private sector organisations have committed considerable resources to revitalising seaside towns by trying to diversify the market, particularly through investment in arts and culture in towns like Folkestone, Margate, St Ives, Hastings and Skegness, with varying degrees of success. They follow the example of Scarborough where, for example, the Stephen Joseph Theatre, the base for all of Alan Ayckborn’s popular plays, contributed considerably to enhancing its reputation, helping to make it the most successful Yorkshire resort. Festivals are a feature of many successful towns. The SO festival in Skegness and East Lindsey has become an annual event. In 2010 a report on the two week festival showed that it proved a great pull for businesses in the town and Skegness was identified as number three in the list of improving UK seaside resorts behind Blackpool and Scarborough. However, it does not follow that cultural investment, which is now commonly perceived as a driver for economic change, is successful in all cases. In some places, major cultural investment does not have the desired spin-off on the rest of a town or city and it has become a Lottery funded panacea for economic revival. Another factor in revitalising or sustaining coastal towns is education. For example, Bournemouth, Brighton and Aberystwyth all rely on universities or higher education to contribute to the local economy. Education investment is often coupled with cultural investment, and, of course, brings with it a demanding and constantly changing population of young people. The best example of these in the AoU archive is the remote resort of Aberystwyth as its population doubles in term time and the student population helps sustain the more fragile seasonal economy. The university has cultural facilities that are of international significance and very unusual for a small town. What has the AoU learned from seaside towns? In the last few years the AoU has considered a number of coastal towns as finalists in different categories in The Urbanism Awards or as place partnerships, but there has not been a broad assessment of what lessons have been learned. Almost by definition coastal towns are marginalised as they are on the edge of the country and the Academy has focussed its learning and study on the heritage and development of inland towns and cities or more diverse coastal cities and ports, such as Bristol, Rotterdam and Copenhagen. The remainder of this paper scopes the lessons learnt from this eclectic and very diverse selection of towns to see if there are any common factors that might lead to a better understanding of the revival of seaside towns. The common factors of all the assessments of these places are not necessarily anything to do with their seaside location, in fact only the reports on Aberystwyth, Falmouth, Galway, Tobermory and Scarborough place any emphasis on their coastal locations as being significant in their development or character as places. This is, in part, because of the purpose of most of the reports, which concentrate on assessing the places as great towns, neighbourhoods or, very specifically, streets. However, Academicians have proposed these places because, in their opinions, they are improving in a way that is worth further research, understanding and rewarding. They would not be on the annual awards shortlists if they were not improving. Of course, this is not an inclusive list and many other seaside towns may be improving, but there are others that can learn from the examples of the best. For example, whilst Scarborough may have reinvented itself, there are many other resorts on the East Yorkshire and Lincolnshire coast that are in dire trouble and are searching for ways to survive. The AoU assessment reports acknowledge the decline in the primary resort function of the areas now that the seaside tourism trade as declined. One key factor in all the reports is the local pride in the place, which has resulted in very strong private, public and community partnerships to support their regeneration. It is the determination of local people, communities, local authorities and businesses that has driven improvements. Of course, this is not unique to seaside towns; almost all the shortlisted candidates for the Academy’s ‘Great’ awards have strong and diverse community supported partnerships at their core and evolve from a pride in place. Perhaps the strongest seaside partnership is Scarborough, which, according to a 2010 report has turned around its fortunes. In 2010 visitor footfall was up nine per cent on the previous three years compared with a decline of 12 per cent in other UK town centres. It achieved this with a mixture of developing a high quality promenade and harbour area, with a lively ‘pleasure zone’ offering live entertainment as well as traditional gambling. Similarly the main shopping area includes a high quality pedestrianised high street, as well as fringe areas that include specialist shops. There has also been considerable investment in culture. 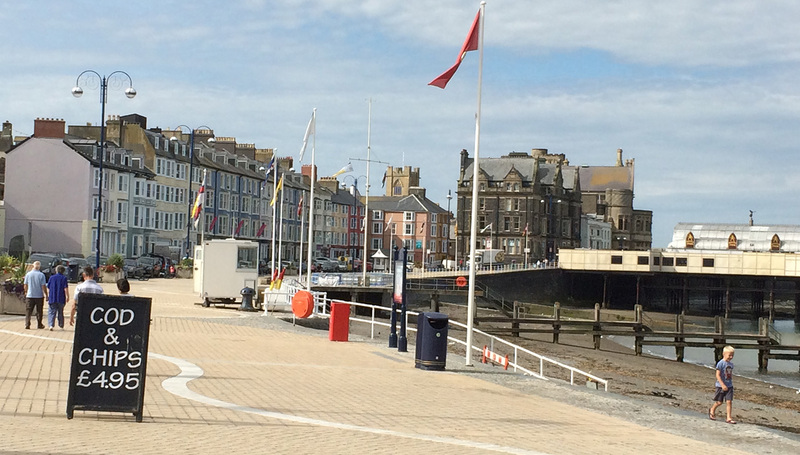 Cultural investment is also a feature of the regeneration of the majority of the seaside towns, particularly, the Old Town and Harbour Arm in Margate, Hasting and St Leonards, Falmouth, Aberystwyth, Penzance, Galway, Westport and Folkestone. The investment comes from a variety of sources, for example, the Folkestone Cultural Quarter was created and is sustained by the privately funded De Haan Trust; in Hastings it is the privately funded Jerwood Gallery; Margate has the publicly funded Turner Contemporary and the others have a mixture of smaller private and public sector funded enterprises. Falmouth benefits from a long established art college with a national reputation plus a high quality public gallery and Aberyswyth has an excellent university arts centre and the National Library of Wales. The recent cultural investment in Falmouth is the branch of the National Maritime Museum that, of course, draws on the seafaring heritage of the town. Education is also a catalyst for Falmouth and Aberyswyth, supporting their non-seasonal economy and ensuring an investment in property and housing. Falmouth now has a university college and incorporates the Dartington College of Arts to create the largest multi-arts discipline university in the country. 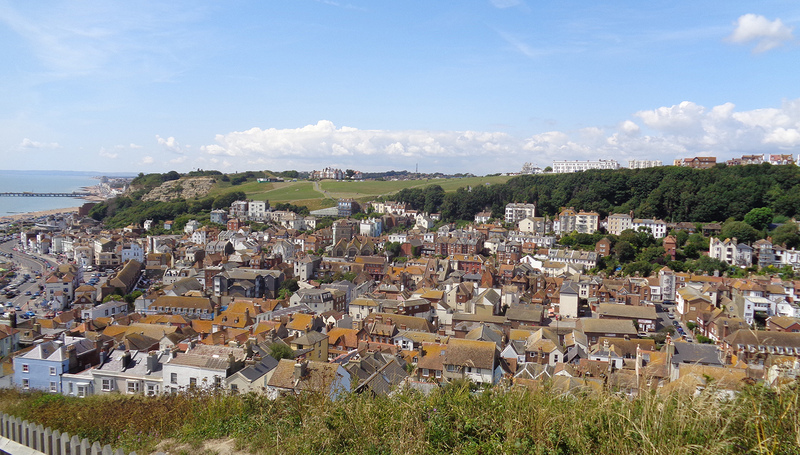 There is a University of Brighton campus in Hastings and St Leonards. The arts and education components are recognised as important in revitalising seaside towns, but whether they are the solution for ailing towns is open to debate. Some cultural activity has existed alongside other seaside activity for many years (for example Falmouth, Newquay and St Ives); in other places culture has been shipped in as a regenerational catalyst. There is a difference in the impact of cultural life that has evolved over a long period and is part of the life of a place or community and its introduction as an economic driver. Folkestone, Hastings and Margate are the recipients of very deliberate recent cultural investments designed to increase visitors to the towns and boost their economies. Although they are clearly having some positive effect on the towns, the long-term impact of this type of intervention in these and other inland locations, has yet to be tested. From the AoU assessments it appears that isolation is no disadvantage as long as the siting or positioning of the place is good or the offer is interesting enough. That offer is not only the seaside location but also attractive buildings and environment and an interesting retail offer which includes independent shops, food festivals, cafes, pubs and bars. Aside from the locational factors the lessons to be learned from improving seaside towns do not appear to be very different from those of any other improving town and city indicating that these are not unique places. Those in decline can learn from the success of any improving place, factoring in the probable advantage of their seaside location. This report was written in 2015 by Tim Challans AoU, director of Challans Consulting, with support from Michele Grant AoU, director of Bluesail. Both are lead assessors in The Urbanism Awards.